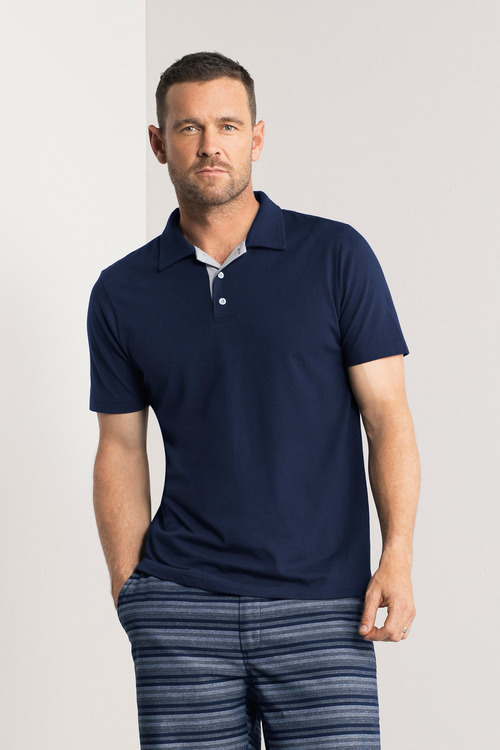 A classic polo is a must-have in any man's wardrobe, and Southcape have given us the perfect option with the Contrast Jersey Polo. Crafted from a blend of cotton and polyester, this casual yet refined piece has a contrast trim and buttons to the placket, setting it apart from any other. It's durable and easy to care for as well, making it great for regular wear. Pair it with anything from chinos to jeans or shorts.